NOARC’s Tidelands Project for 2015 through 2016 has concentrated on “Space-to-Shoreline” environmental monitoring and mapping technologies. The project has also emphasized testing and developing geospatial tools that apply these new environmental monitoring technologies to DMR’s coastal resource management strategies. This effort is the precursor for an enhanced, long-term mapping and monitoring strategy for coastal Mississippi and an important first step toward an interactive tidelands atlas that serves as a frame of reference for DMR monitoring and permitting activities. 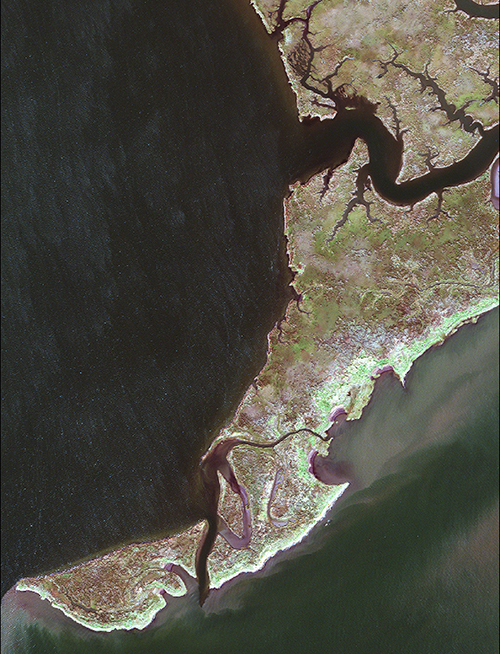 The project team is led by NOARC and includes the Mississippi State University, Geosystems Research Institute, the University of Southern Mississippi, Gulf Coast Geospatial Center, DigitalGlobe, and I2R, LLC.